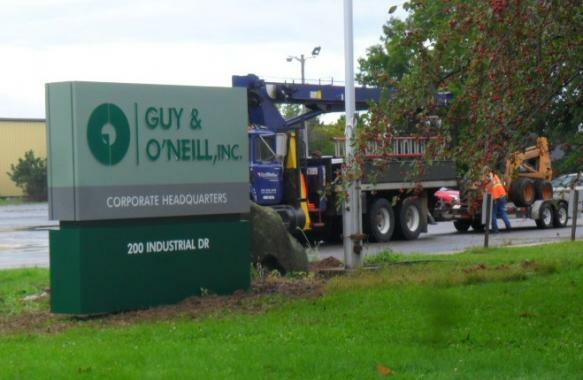 Medical equipment manufacturer, Guy & O’Neill re-organized their corporate campus. 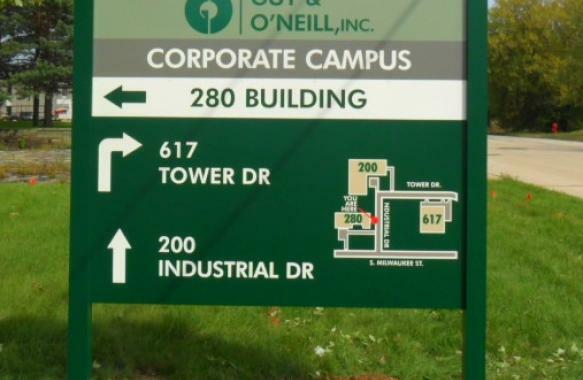 Their campus, made up of three buildings located in a one and a half block area, called for a new corporate sign system including way-finding signs, a building sign and numerous smaller signs. 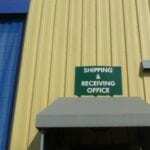 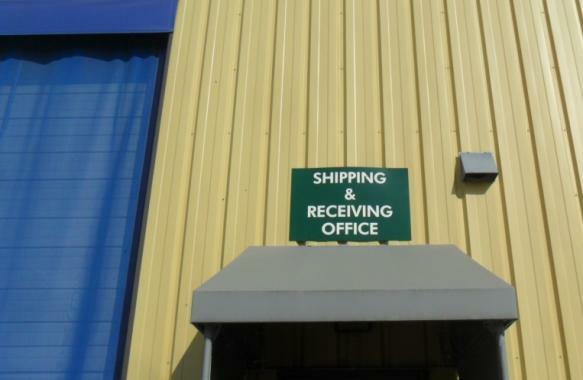 When a customer visits or a shipment arrives, they want to make sure they can find their way. 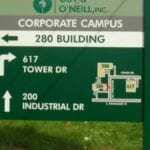 The new monument sign in front clearly identifies the corporate office to nearby traffic and visitors to the campus. 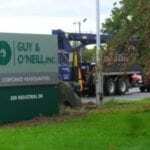 One of the biggest issues resolved is the direction the way-finding signs give to truck drivers arriving with raw materials and supplies, improving efficiency of the operation.